Realtime Collaboration is available in today's stable channel release. There are two ways to start collaborating. 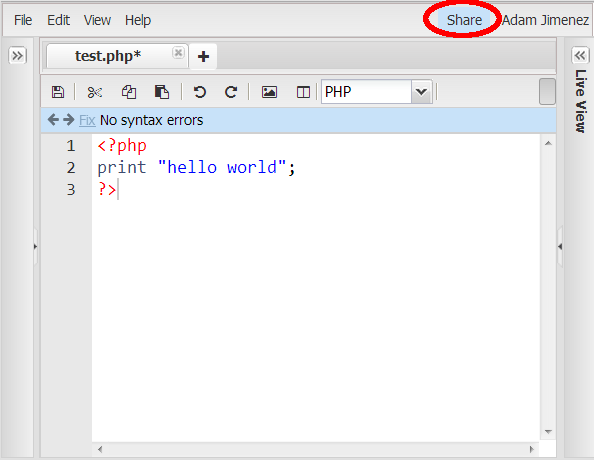 You can either collaborate on an individual file or you can work together on a site. 1) Collaborate on a single file. Say for example you need help or want to show someone something. a) Press the share button in the top right corner. b) Tick the box that makes the file public. c) Copy and paste the link into a chat window or email. As soon as your collaborator comes online you will see their name appear at the top. You will see their edits and cursor movements in realtime. You can click their name to jump to their cursor position. 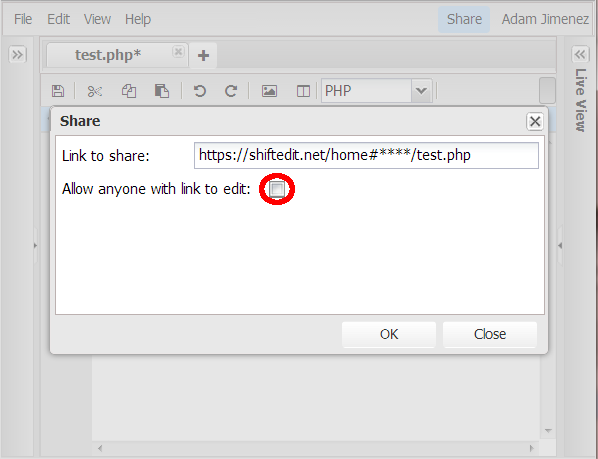 Once you've finished collaborating you should untick the share option (b) to prevent anyone else frome editing. b) add a collaborator via "Add user"
c) tick the user and press "Allow"
Next time they login they will see the site in their site dropdown. When you are editing the same file you will see their name at the top. You can click their name to jump to their cursor position.